We specialize in soil. From topsoil to specialized blends for bioswales, bioretention basins, rain gardens, etc. Below are a few of our most popular materials. If you have a specific mixture, we are able to custom blend to meet soil specifications. Processed through a 1/2″ long harp screen for uniformity, easy to move by rake or shovel. 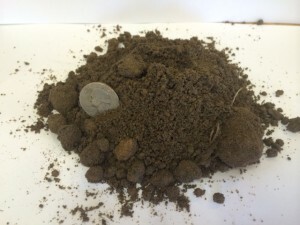 Unprocessed topsoil containing clods and lumps, rocks and roots. *New construction area when heavy equipment is used for spreading and grading. A mixture of topsoil, clay, rock and roots. 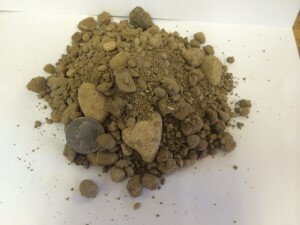 An economical material used to fill large areas 6” in depth or deeper. Blend of 50% topsoil and 50% compost that is shredded and screened to make a lighter, workable soil. Garden Mix retains moisture longer, adds organic nutrients to aid in seed germination. With minimal compaction, this blend promotes vigorous root development by allowing oxygen and nutrients to reach the root systems. Uniform blend of 1/3 topsoil, 1/3 sand, and 1/3 compost. Three-Part Mix is designed for use where poor drainage and/or high clay content creates a garden or turf problem. Easy soil cultivation and strong root development. Blended with 20% compost. Topsoil Plus has a higher organic content than Shredded Topsoil, allowing for better moisture retention, seed germination, and root development. Shredded Topsoil blended with sand, compost, peat, and manure. Your roses will LOVE this! Almost any specification can be met with our custom blending service. Compost holds soil particles together enabling the soil to retain moisture and utilize that moisture more effectively. The compost improves the coefficient exchange capacity of the soil; which means that the soil will retain nutrients longer. The compost then releases the nutrients at a steady, consistent rate, which reduces the amount of manufactured fertilizer needed.